Wonder if there are any other Bloomfield guys here? Saw a nice GC the other day in Montclair. Central NJ right near Rutgers. Work in the Trenton area and went to school in Passaic county so I know most of the state from north to south so I'd go anywhere. Were you trying to get the Garden State Plaza meet together again? I actually just bumped into Shawn (onew1ckedxj) a few weeks ago at a bar in Woodbridge. We talked about maybe starting it up again. I'm in for it! Think we should start a new thread for a meet up? 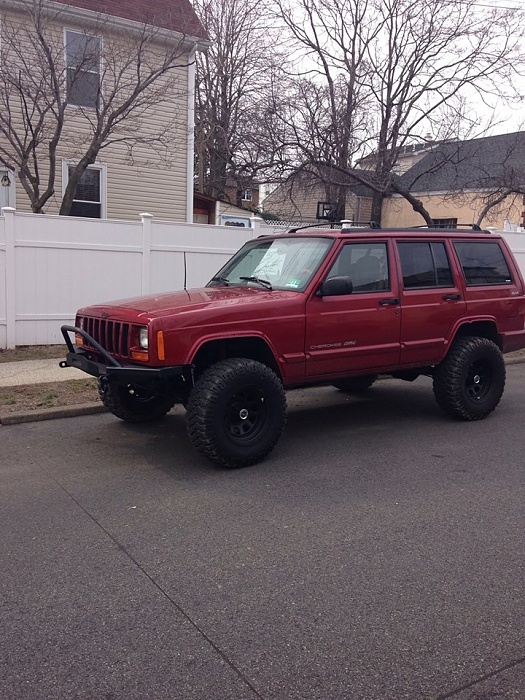 98 xj Bergen couinty area.. off road weather here.. whos down to hit some trails..
North Jersey/ NYC Cherokee guys post up! I feel like we should start up another meet and greet and talk jeeps! and hell maybe even do some wheeling! I'm Central, literally just picked up my XJ this weekend. Down to meet up at some point. Old Thread, Anyone still in the game up here?